The startup, Kobold Metals, is using data-crunching algorithms to scour the globe for cobalt, in a bet that there may still be significant undiscovered sources of the metal that has become one of the world’s hot commodities thanks to its use in electric vehicle batteries. The company has raised money from Silicon Valley venture capital firm Andreessen Horowitz and Breakthrough Energy Ventures, a fund backed by Gates and a dozen other tycoons including Jeff Bezos, Ray Dalio and Michael Bloomberg, owner of Bloomberg LP, the parent company of Bloomberg News. Kobold Metals is betting it will be able to find new sources of the metal using what it calls "machine prospecting." The company is building a database of geological data that it then feeds into an algorithm, hunting for signals that indicate the likelihood of increased concentration of cobalt. "What we’re building is basically Google Maps for the earth’s crust and below," said Connie Chan, partner at Andreessen Horowitz. Kurt House, the chief executive officer of Kobold Metals, says the approach could succeed because mining companies have traditionally not focused on looking for cobalt. The metal is a byproduct of copper or nickel mining in all but one of the world’s cobalt mines, and more than two thirds of global supply comes from the Democratic Republic of Congo. "People just haven’t looked for the stuff," said House. "There’s very limited history of exploration at all outside of piggybacking on nickel and copper deposits." Kobold Metals, based in Berkeley, California has already acquired several properties in North America where it hopes to explore for cobalt, he said, and plans to have around a dozen such prospective sites by the end of the year. House wouldn’t disclose how much money the company had raised or at what valuation, saying only that Kobold Metals has "well over four years of capital right now." The San Francisco Bay Area-based company is not alone in hoping to capitalize on growth in cobalt demand driven by the electric vehicles revolution. 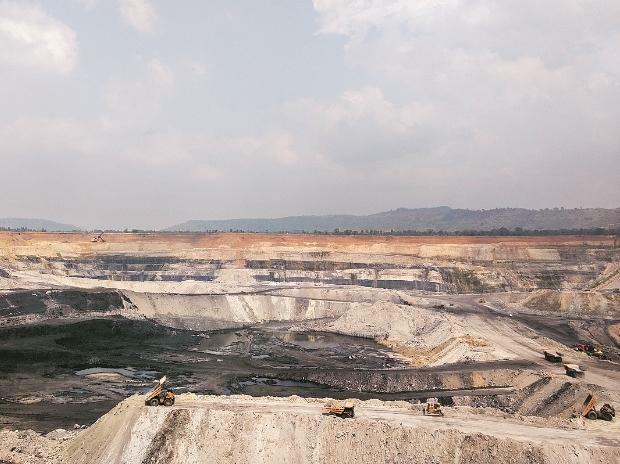 The price of the metal more than quadrupled from 2016 to last year, spurring a wave of new supply from miners like Glencore Plc and Eurasian Resources Group Sarl, as well as small-scale diggers in Congo. As a result, prices have fallen 64 per cent in the past 10 months. In the longer term, Darton Commodities, a trading house that compiles data on the sector, says there are over 50 cobalt exploration projects, mostly in Australia and Canada. And battery makers are working to reduce the amount of cobalt in their batteries or eliminate it altogether. House said he was unfazed by those efforts, arguing that cobalt’s physical properties mean that if his company can contribute to ensuring plentiful, low-cost supplies, it could help persuade battery makers not to substitute the metal. "You can absolutely make batteries that are really good without cobalt -- no question you can," he said. But "a little bit of cobalt will always be good". While big mining companies are already experimenting with large-scale data crunching, House said their efforts are principally aimed at improving operations. For example, Barrick Gold Corp. in 2016 partnered with Cisco Systems Inc. to analyze real-time data from its mines in a push to improve efficiency. House said the company would look to bring in other investors -- potentially including its current backers -- on a deposit-by-deposit basis once it has identified an interesting project. "We don’t intend to be a mine operator ever," he said. Ian Pearce, a director of Kobold Metals who is the former head of nickel at Xstrata Plc, said that the company was using the technology in a different way from established mining companies. "You hear a lot of chatter in the mining space about data and the digital age," he said. "When I looked at some of the ways these data scientists are looking at the data and assembling models, I haven’t seen anything like it before."